"From Bullets To Balls To Grass and Mats...We Play'in Cricket"
» Homies & Popz "Hip-Hopera"
The "Homies and the Popz" Compton Cricket Club, (CCC) is a club based in Los Angeles USA. The CCC is the only all American born cricket team in the world today. The Homies & POPz dubbed "America's Team" and "US Ambassadors" of Good Will and Peace in the sporting world of Cricket, plays amateur competition as well as exhibition matches. The Organization and movement continues in its forward progress to work for the betterment of all humananity as global Ambassadors of Goodwill and Peace. The CCC and it's premier sporting enterprise, the Homies & the POPz also has recently increased has found a new voice and has it's International Recognition and Attention. Under the dierection of Ted Hayes and Katy Haber, the American Cricket is on track to achieve its objectives at home and abroad. The Cricket Concept began in 1995 with the LA Krickets based in Los Angeles' Dome Village. The team was comprised of homeless men and was operated in conjunction with Justiceville/homeless USA INC. In 1997 the Compton Cricket Club was formed to address at risk youth. The Cricket Concept in Los Angeles was furthered through high school workshops, which lead to the creation of the Compton Homies and Popz. The team includes Latino/Hispanic - Mexican (Mesoamerican) and American Blacks some of whom are ex- gang & tagging members as well as those who were good upstanding school students and obedient children to their parents. This novel Cricket enterprise has actually toured to United Kingdom four (4) times in 1995, 1997, 1999 and 2001, which included a visit with HRH Prince Edward, The Earl of Wessex at Buckingham Palace in London; giving a rapping performance before the Prince at the Queens' Cricket Club house at Windsor Castle; and even presenting a Cricket bat to Jerry Adams to help broker a peace in Northern Ireland between the English and Irish in Belfast. 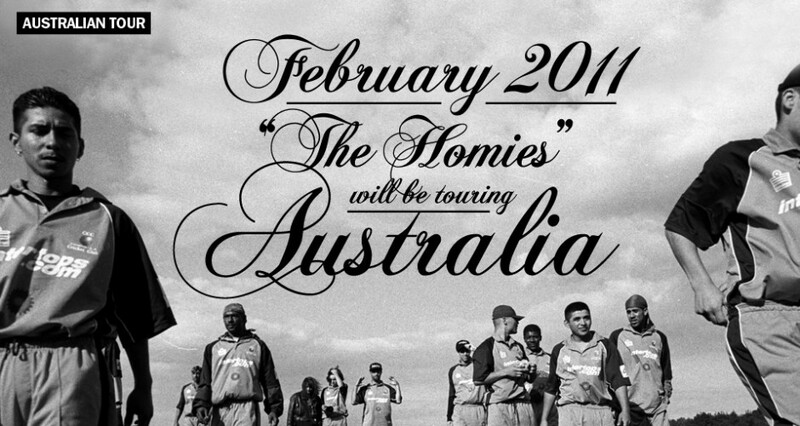 The Compton Homies and the Popz is a unique multi-ethnic cricket team composed of inner city Latino, Black and White young men. The team was created to keep the youth away from the ravages of gang activities and teach them to use the principles of cricket in their adult lives, thereby transforming them into good and productive citizens. Ted Hayes, under the tutelage of former West Indian professional Cricket player, the late Leo Magnus, coached this unique team with the help of Ted's son Theo Hayes. The Compton Homies and the Popz UK tour in 1999 included a visit to Belfast, Northern Ireland a game at Windsor Castle and a game against the legendary Lord's Taverners at hollowed Lords Cricket Grounds. It is the intent of this unique team to spread the word of Cricket throughout the United States, helping other youths and adults to strive towards a better future and good citizenship. Given its colorful array of youths and adults, the H&Pz members have also been the subject of several pop magazines posing as models, including the prestigious Marie Claire.